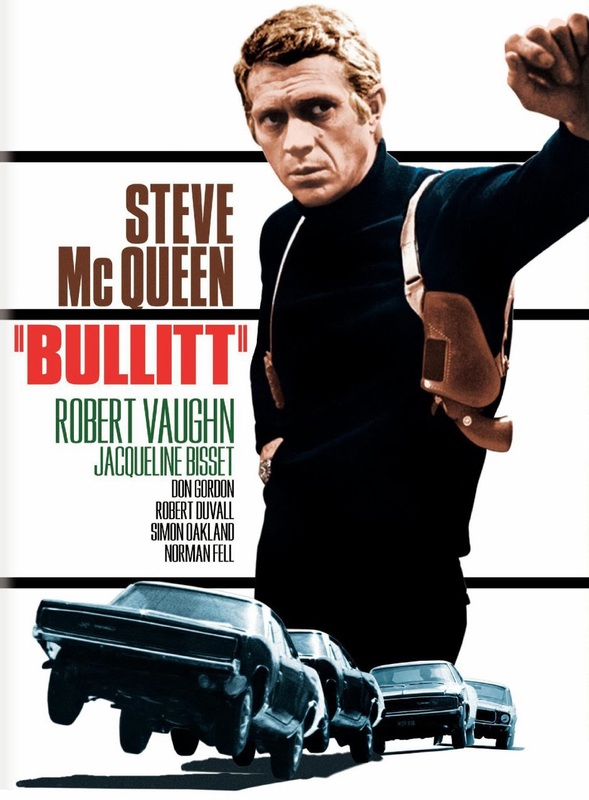 "Bullitt" has what's considered the best car chase ever filmed. ...in pursuit of a boss Dodge Charger. ...but felt like this (that's us in our Subaru Forester. Catch us if you can, Steve McQueen). 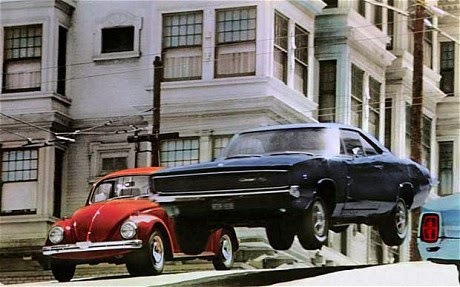 Our previous blog post mentioned the fun of seeing famous movie locales while travelling. 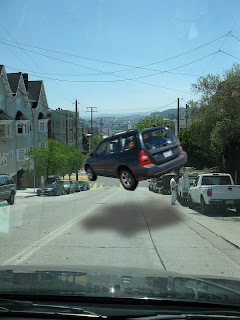 We had another such outing in San Francisco, although it was unintentional. We were visiting Bodega Bay, about 60 miles north of S.F., and wanted to get to our next stop, a hotel near the San Francisco airport south of the city. Normally when you're on the outskirts of a big city, you just hop on the interstate and it will loop you around the urban area. 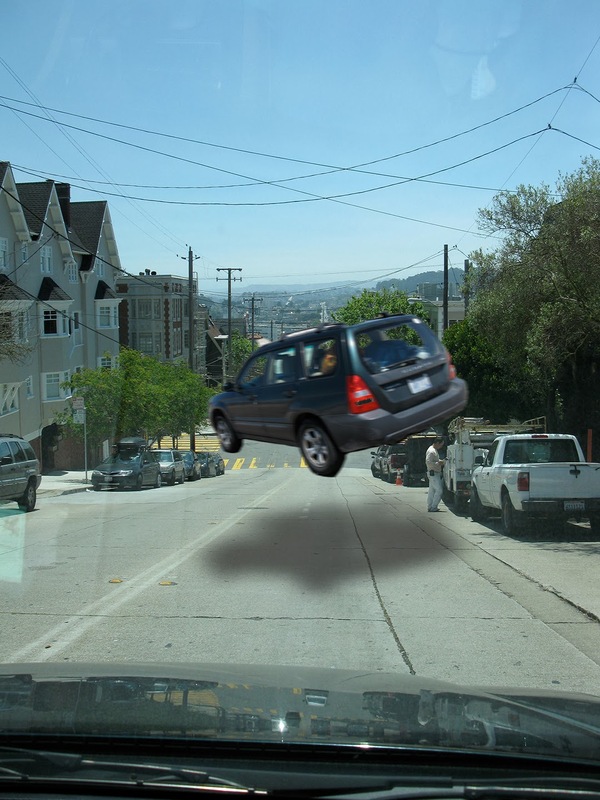 Without really scrutinizing the map, we assumed this would be the case in S.F., too. Au contraire. The city population didn't want to wreck their awesome landscape with super highways, so the way to get from north to south is to go over the glorious Golden Gate Bridge and then be dumped off right in the thick of the city. 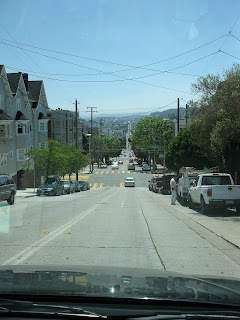 Mrs. Eccentric was driving (white-knuckled at the wheel) and I was "navigating" ( I use that term loosely) and we found ourselves going up and down those famous mountainous S.F. avenues like you used to see on the old Rice-a-Roni commercials. 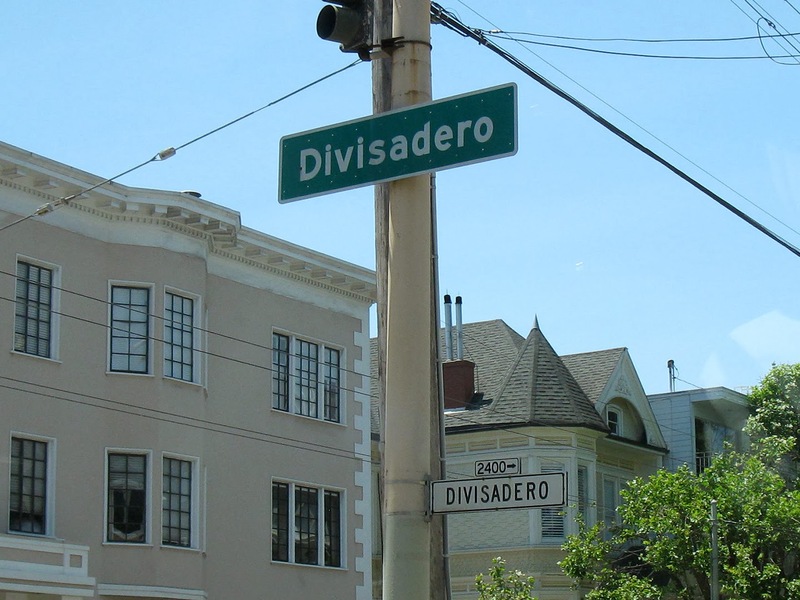 I noticed the street we were on was Divisadero, and I was about to say, "Hey, honey! Guess what! 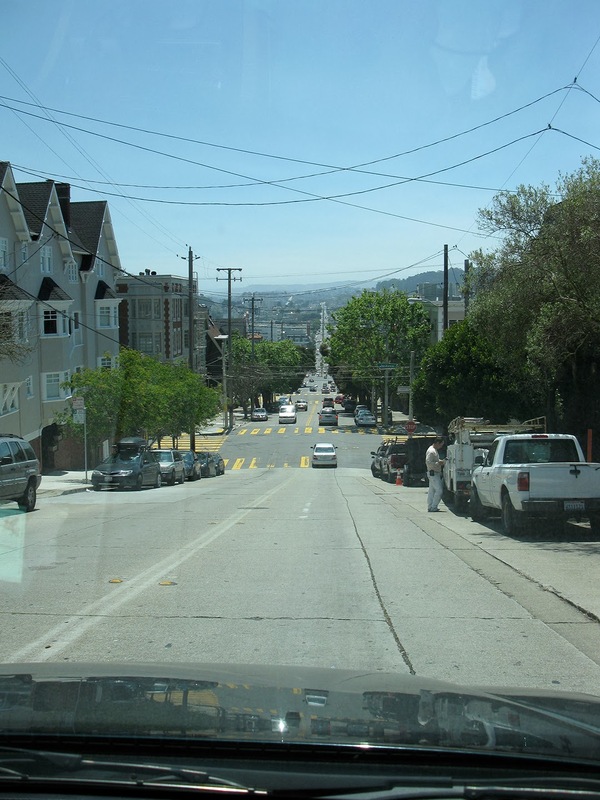 I think we're on the street where they filmed the "Bullitt" car chase!" but I thought I'd better keep my mouth shut, at least until our hearts were out of our throats. Sherry did a Steve McQueen-worthy job of driving and we made it to our hotel slightly damp from the flop-sweat but in one piece. 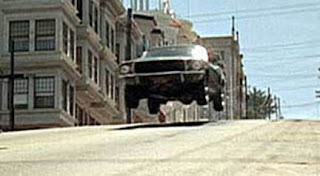 Turns out the "Bullitt" car chase was mostly filmed on Fillmore and not Divisadero, and people drive these streets every day and it's no big deal if you know what you're doing. In fact, by the time we left S.F. four days later, we (and by we, I still mean Sherry) had those city streets down pretty good.